With the meteoric rise of new approaches to data management, specialist information management outfit NOW Consulting (part of globally successful Kiwi data warehouse automation vendor Wherescape) is providing further options for accelerating the extraction of value from data stores. It has added the Data Vault methodology to its repertoire of solutions, describing it as is a hybrid approach which provides ‘auditability’ and offers the capability to store data from multiple sources over the course of time. This provides for a greater level of flexibility to cope with unstructured data from the heterogeneous information systems which characterise most business environments today. There is also the factor that where a traditional data warehouse needs a window – generally overnight – to load data, the time required is substantially reduced with Data Vault. “Some companies would find this very attractive,” Wyllie added. Data Vault are not new – the concept was conceived by Dan Linstedt in the 1990s, and first introduced in 2000, but only now are they being recognised as delivering real value to local businesses. 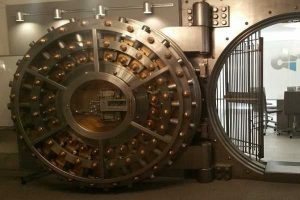 The current iteration, Data Vault 2.0 is an open standard which has a focus on including new components such as big data and NoSQL. The Data Vault difference is in how it stores the data. Traditional data warehouses most often use a ‘star’ schema, where the presentation layer is also the storage layer. Data Vault separates these layers, so that when the storage layer changes (which is a practical inevitability) there is no longer a requirement for the refactoring. “In simple terms, this means it is far faster and less costly to add new data streams to keep the data warehouse up to date, and to keep business users provisioned with all the data they need to perform analysis on to get accurate insights across the organisation,” Wyllie explained. There’s a philosophical difference in the Data Vault approach, too. Where traditional data warehouses are fed by ‘cleansed’ data streams, a Data Vault model is built on the premise that ‘all data is relevant data’, even if it falls outside of established definitions and business rules. The Data Vault captures all data and only when reporting or extracting from the Data Vault is the data interpreted. The departure from the traditional data warehouse concepts, in which the familiar mantra of ‘garbage in garbage out’ may seem at odds with ‘all data is relevant data’, means there are structural differences in how the Data Vault is constructed. However, he noted, for these and other use cases, the learning curve is immediately offset by the ability to rapidly introduce those new data streams, while there are ways to smooth the transition to Data Vault: “The Data Vault model is consistent and lends itself to the use of automation tools to accelerate it,” confirmed Wyllie. Pfff, Datavault is a load of hot air and completely without value. This company is just trying to hype it up to sell their consulting services.